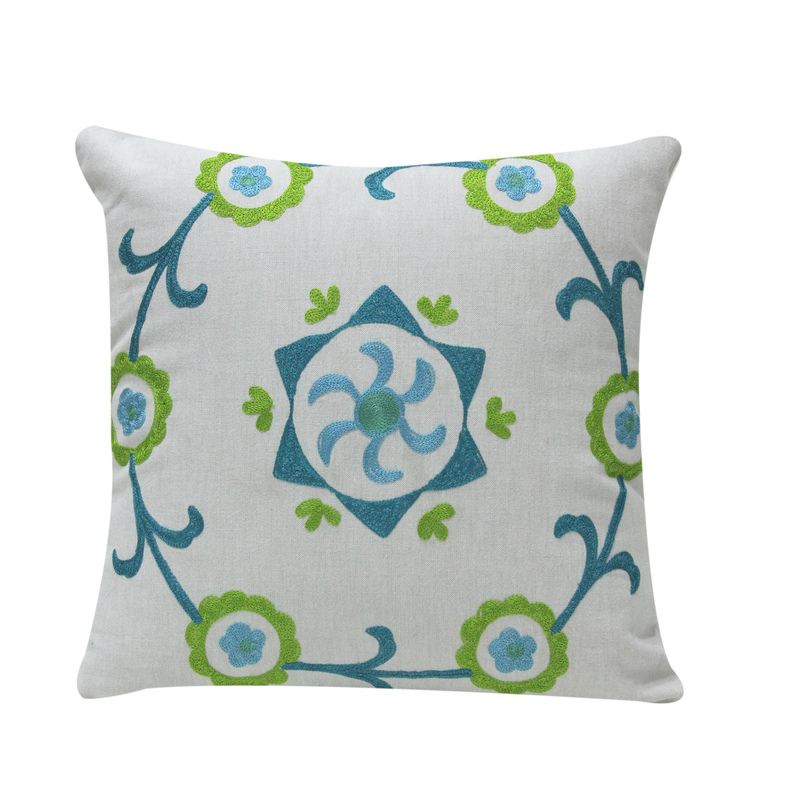 This classic Suzani inspired cushion cover comes with embroidery on natural cotton. **Note: This listing is for the pillow COVER only. Filler or insert is not included.